The law firm of Wilson-Goodman and Fong is now known as Wilson-Goodman Law Group, PLLC. With offices in Gilbert and Queen Creek, Arizona, the law firm specializes in immigration, real estate, estate planning, business law, bankruptcy, personal injury, criminal law, and family law. The law firm’s mantra is to provide its clients with professional, realistic, and honest advice. The oldest law firm in Gilbert, Arizona, it has secured multi-million dollar jury verdicts. In 2004, the attorneys of Wilson-Goodman Law Group, PLLC, secured the fourth largest verdict in the history of the state. Q:Can the attorneys at Wilson-Goodman and Fong help me with real estate cases? A:The attorneys at Wilson-Goodman and Fong offer extensive legal services in real estate cases. The firm specializes in a number of areas in residential, commercial and investment real estate. Some of the specific areas the firm provides services in are residential home review, home purchase, sale contracts, residential real estate closings, reviewing contracts, local legal proceedings and eviction proceedings. The firm has experience in helping clients with real estate litigation as well. Q:Do Wilson law attorneys provide services in business litigation? A:The Wilson law attorneys provide a number of services in business litigation cases. The areas covered are Breach of Contract, Business Interference, Fraud, Business Torts, Partnership Disputes and Collection Matters. The Wilson law firm also provides extensive legal services in Real Estate Foreclosures and Consumer Litigation. The experienced attorneys have helped hundreds of clients with their legal concerns over the years.  Q:What areas of family law does the Wilson law firm provide services in? A:The Wilson law firm provides extensive legal services in family law. The areas covered in family law are divorce, legal separation, child custody, adoption, guardianship and conservatorship, orders of protection, prenuptial, ante nuptial and cohabitation agreements. The attorneys at Wilson law firm have extensive experience in this area of law and have secured a number of favorable verdicts for their clients. Q:Can the Wilson law offices help me with personal injury cases? A:The Wilson law offices provide comprehensive services in personal injury cases. The firm helps clients if they have suffered brain injuries, auto and truck accidents, pedestrian accidents, dog bite injuries and defective products. In addition to these, the attorneys at Wilson law also provide legal services in drowning and swimming pool accidents and slip and fall injuries. The Wilson law firm does not charge clients until a favorable verdict or settlement has been reached. Q:Does the Goodman law firm provide services in Business Law and Business Formation? A:The attorneys at Goodman law firm provide extensive services in Business Law and Business Formation. The services provided in this area Business Entity Formation, Partnership Agreements, Shareholder Agreements and Buy/Sell Agreements. The firm also doubles as a consulting firm and provides services when drafting and reviewing contracts, leases and drafting employment contracts. Q:Could you provide a brief overview of the Goodmans law firm? A:Before the 2003 merger which resulted in Wilson-Goodman & Fong PLLC, the Goodman's law firm specialized in family and employment law. Established in 1997, the firm has the distinction of being the oldest in Gilbert, Arizona. The merger of the firm with Terry J. Fong brought personal injury, commercial litigation and business law experience. Currently the Goodman's law firm specializes in a number of areas of law and employs seven highly qualified attorneys. Q:Can Goodman lawyer help me with criminal defense cases? A:The Goodman lawyers have extensive experience in criminal defense cases. The attorneys at Goodman law firm provide services in felony offenses, traffic violations, drug charges, domestic violence, shoplifting, identity theft, extortion and use of forgery devices. The firm also provides services in drunk driving charges, aggravated assaults, robberies, sexual assaults, burglary and dangerous crimes against children.